Toledo sits on the border between Ohio and Michigan. The 287,000 people who live there enjoy the lake views of Lake Erie, as the city sits on its western shores. A city that once suffered from mass migration to the suburbs, it has been involved in a more than decade long effort to revitalize its downtown. Toledo remains deeply involved with the glass industry, and the city is home to many businesses that manufacture a wide variety of glass products. In addition to glass, the city has branched out into the green industries, trying to spur the environmentally progressive parts of its economy. The manufacturing of solar energy components, for instance, has become a growth business in the city. Toledo is one of the many cities with an industrial past that has high vacancy rates for rental apartments. The vacancy rate here is nearly double what is seen on average across the country. As a result, you should be able to look for an apartment at any time of the year without any problems. Because there are so many available apartments in Toledo, you can afford to use a little bit of discretion when choosing where to live. Always make sure you view an apartment before you sign a lease. Problems with the apartment or the neighborhood might not be apparent in pictures, but will reveal themselves promptly when you view them in person. Toledo, like the majority of mid-sized cities in the central U.S., is a car friendly city. Most people choose to drive, and if you want to get around easily, this is probably the best method. However, if you prefer to stick to public transportation, TARTA offers bus routes throughout the city. The importance of the local glass industry has extended to glass art. There is a special exhibit devoted to it at the Toledo Museum of Art Glass Pavilion. Horseracing fans should visit Raceway Park. Toledo is also home to one of the most well known AAA baseball teams in the country, and taking in a Mud Hens game is a great way to spend an afternoon. The Toledo Museum of Art is a nationally recognized facility. It is a massive museum with a collection that spans the breadth of human history, and which reaches to every corner of the globe. The museum is also completely free, as the founder had a strict policy that art should be accessible to everyone, regardless of their own means. The Toledo Zoo is recognized as one of the best zoos in the United States, and animal lovers should all take time to make at least one visit. The Queen of the Most Holy Rosary Cathedral is an important religious landmark, and one that will also be appreciated by anyone with an interest in architecture. Mancy’s Steak House is legendary for it's local surf ‘n’ turf, and is a definite standby when looking for a fancy meal out. Toledo actually has a number of fine dining establishments that could be proudly held up against those in much larger cities, including Georgio’s Café International. The best Mexican food in the city is found at El Vaquero Mexican Restaurant. The outdoor eating area makes for the perfect locale for enjoying a spicy meal in the evening air. The Oliver House Complex is a great place to go because it includes a variety of different establishments inside one building. For the steakhouse experience, head to Rockwells. If you're looking for craft beer, the Maumee Bay Brewing Company is your best bet, or you can even find the Petit Fours Patisserie and Bakery under the same roof. The Bier Stube is definitely the definitive beer bar in Toledo. They carry more than 60 taps, which they rotate with new and exciting craft beers and seasonal brews. The casual environment includes TVs for watching the game, and activities like trivia. The Village Idiot is a local legend in the music scene, and most bands that have played Toledo have walked through it's doors at some point. The Bronze Boar is a good place to go if you're looking for a classier night out in an upscale bar environment. Nick & Jimmy’s Bar and Grill is a very sports-themed bar, and is the place to go if you want to enjoy a younger crowd that is fired up about sports. The Toledo Opera produces a three-show season that thrills Opera lovers year after year. There are several places in town that produce live theatre, including the Toledo Repertoire Theatre. The Stranahan Theatre is host to a number of touring plays, productions, comedy acts and concerts. Of course, the Toledo Museum for Art has an international reputation, and it's collection is broad enough that everyone should be able to find a piece of art that speaks to them somewhere in the galleries there. If you have children, make sure to visit the Imagination Station, which features hands-on interactive exhibits to help teach children about science. BASHCon is a fun event for those who love gaming and gaming culture. It is the biggest convention of it's type in this part of the state. June is a particularly busy month for festivals and events, with the Old West End Festival and Taste of the Town both occurring. The Old West End Festival is an art festival that features a parade and a wide variety of vendors. The Taste of the Town celebrates the best of the Toledo culinary scene, and is a great way to get introduced to the new and exciting restaurants always opening in town, or to get reacquainted with an old favourite. The Franklin Park Mall has all of the best brand-name retailers that mall enthusiasts love, including an Apple Store and a Pottery Barn, as well as anchor stores JC Penny and Macy’s. Toledo also has a huge antique center at Wildwood Antiques Center. There are more than 80 different dealers housed in the center, and a nearly infinite number of unique and collectible pieces from past eras. What’s amazing is that this isn't even the largest antique destination in the city. The largest is the Maumee Antique Mall, which is over 120,000 square feet, and which has nearly double the number of vendors as Wildwood. There are a two minor league sports teams present in Toledo. The Toledo Walleye are a hockey team that compete in the ECHL. They are a farm organization for the Detroit Red Wings. The MLB’s Detroit Tigers also have a farm team in town in the Triple-A Toledo Mud Hens baseball club. 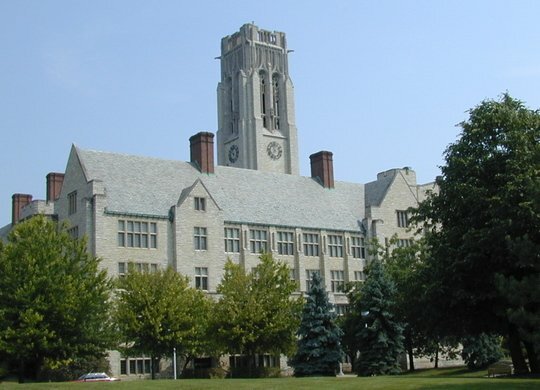 The University of Toledo also fields NCAA teams under the name of the Rockets. The Division I program is fierce rivals with the Falcons from Bowling Green University. The rivalry is one of the oldest in college sports, stretching back over a competitive history of more than 100 years. Toledo is known as the “Water Recreation Capital of the Midwest” for good reason. The opportunities for water-based recreation on Lake Erie, and the number of nearby rivers means that you can spend all summer out on the water and never get bored. There are also nine Metroparks of the Toledo Area. Wiregrass Lake is the newest of these to be opened to the public, and includes a lake with a public dock for canoe and kayak launches. The Oak Openings Preserve is a truly spectacular, desert-like environment right in Toledo. The combination of sand dunes sitting next to low areas rich with orchids make the area fascinating to those who enjoy seeing the miracles of nature.